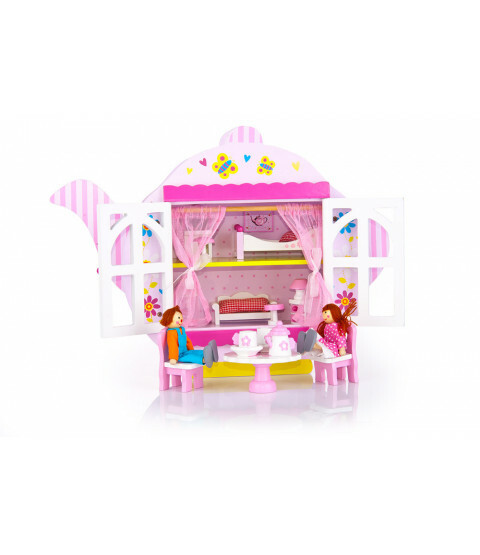 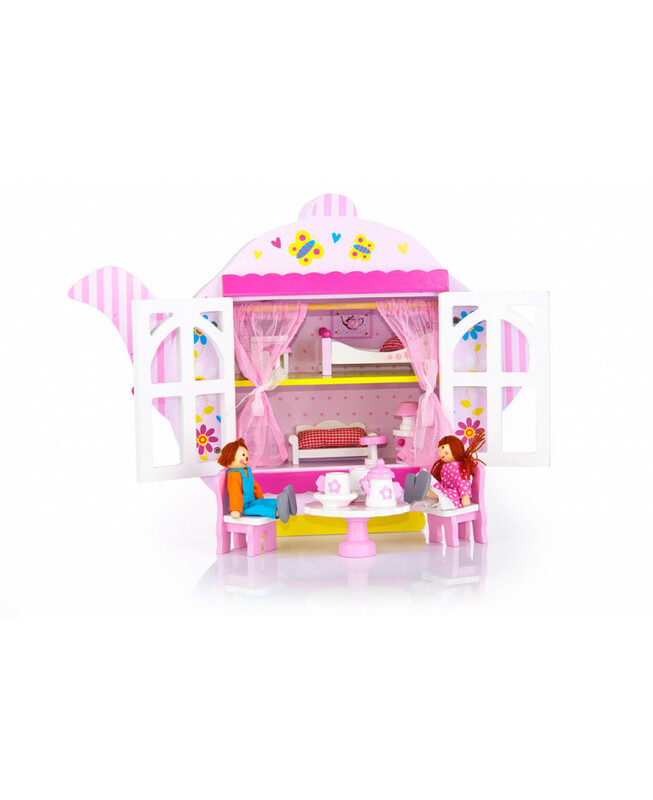 This wooden dolls house comes in the shape of a pretty teapot and is perfect for providing hours of imaginative and creative fun. 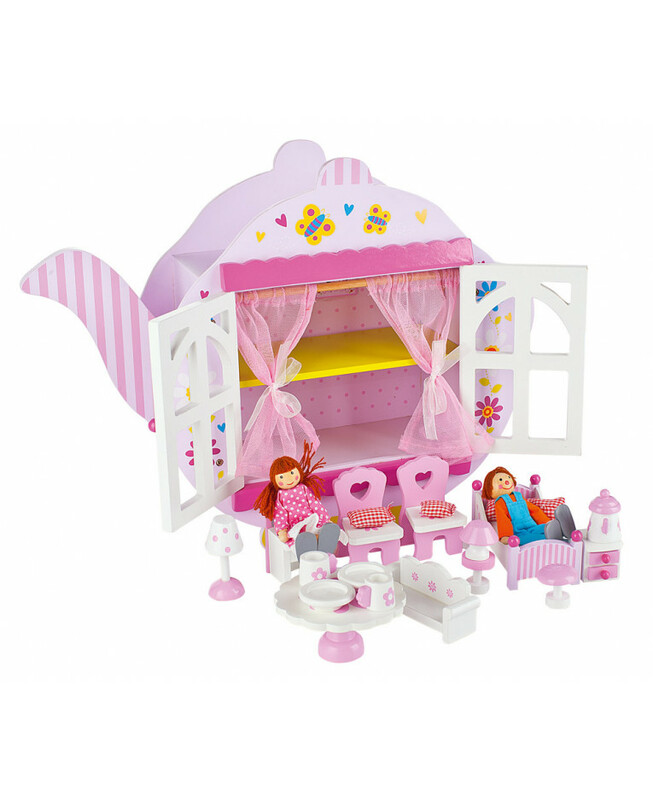 The dolls house comes with two wooden dolls and furniture as well as additional accessories enhance the your child's imaginative play. 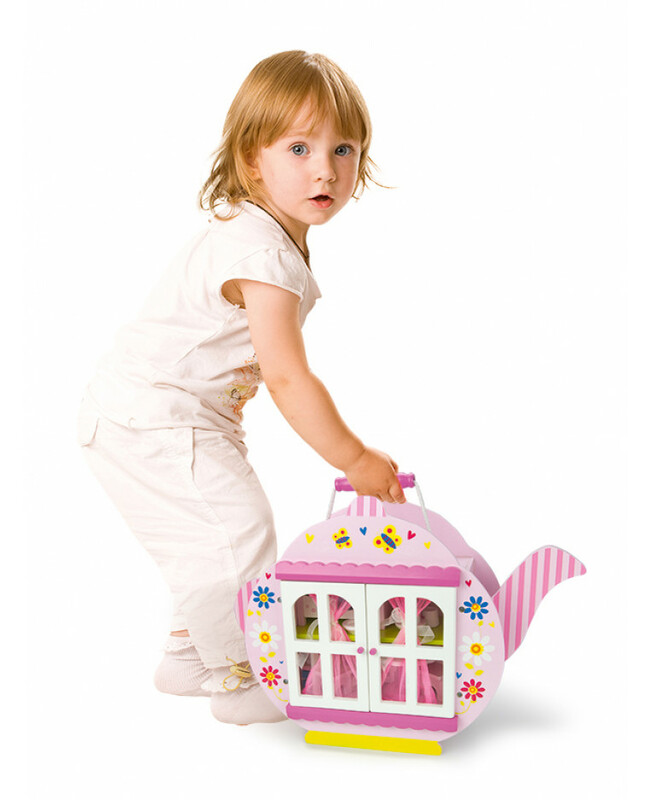 The dolls house also has a convenient carry handle so that it can be easily transported from room to room or when it is time to tidy up.